T-Mobile announced that it would make calling and texting to the country free until September 10 (tomorrow), which also applies to its MetroPCS subsidiary. Verizon said that calls and texts to Mexico from post-paid and home landline customers from September 8 to 10 would be free. Apparently Verizon thinks pre-paid customers don't need free calls and texts. AT&T also announced that calls and texts to Mexico from September 8 to 10 would be free. That applies for landline, wireless, and PREPAID (formerly GoPhone) customers. Sprint doesn't appear to have made an announcement regarding the earthquake, but we'll update this article if it does. Bellevue, Washington – Sept. 8, 2017 – To help our customers connect with loved ones affected by the earthquake in Mexico, T-Mobile (NASDAQ: TMUS) is making it free for T-Mobile and Metro PCS customers to call and text from the United States (including Puerto Rico) to Mexico until Sept. 10. 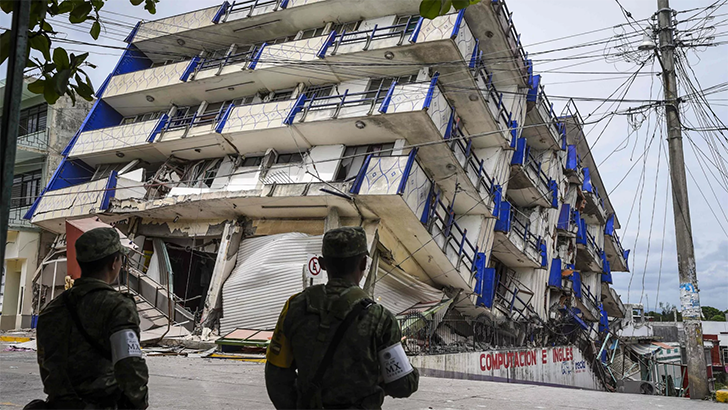 NEW YORK, Sept. 8, 2017 /PRNewswire/ -- Following last night's devastating earthquake in Mexico, Verizon is supporting customers with loved ones potentially impacted by this terrible tragedy by offering free wireless and wireline calling from the U.S. to Mexico to help connect them with family and friends. "There's a strong connection between our customers and their families in Mexico, this is the right thing to do," said Tami Erwin, Executive Vice President, Verizon Wireless Operations. "Speed matters when providing relief that can connect people during this crisis." Home wireline telephone customers will incur no charges to Mexico from their U.S. landlines on Friday, September 8, through 10, 2017 (applicable taxes and surcharges will apply). Wireless post-paid customers will incur no charges for texts or international long distance calls originating from the U.S. to Mexico Friday, September 8, through 10, 2017, (applicable taxes and surcharges will apply). "Our residential landline customers don't have to just wait by the phone," said Ken Dixon, Senior Vice President, Wireline Operations for Verizon. "They can pick up and dial directly to find loved ones potentially affected by this devastating earthquake." AT&T - To help keep customers connected to those affected by the earthquake and Hurricane Katia, AT&T will automatically issue credits and waive charges for calls placed and texts sent by AT&T’s customers from the U.S. to Mexico from Sept. 8 to Sept. 10 in the local time zone. This includes calling and texting from AT&T wireless and AT&T PREPAID customers and calls from AT&T landline customers.